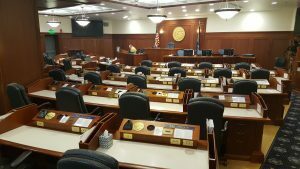 The Alaska State Capitol Tour offers an opportunity to explore Alaskan history, art, as well as a look into where the latest legislation of the state happens. The tour is free and open to the public. 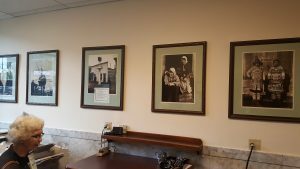 The walking tour mixes the offers a perfect mix of state history meandering through halls with beautiful works of art throughout the building. 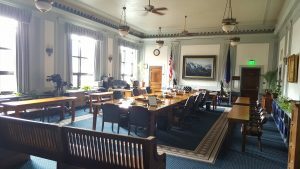 You will find the State Capitol located just up Main Street at Fourth Street. Upon entering the building you will be struck with the impressive design of the foyer. 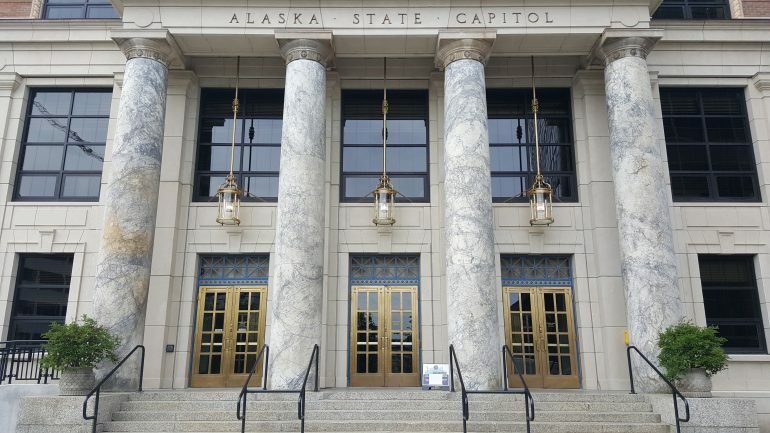 The marble floor is covered with a cobalt and gold carpet further layered with mats featuring the Alaska State Seal. 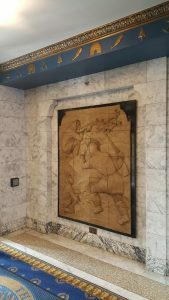 The walls are marble and feature large bas relief sculptures in fired clay of early Alaskan fisherman on one side of the entry and hunters on the other side. The ceiling has a crown molding in gold with beautiful cobalt blue accents on the ceiling and doors. Against the vivid cobalt blue, you will see golden symbols of industry in Alaska. 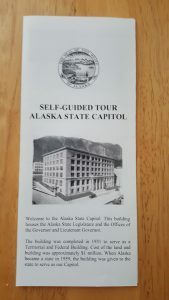 Learn more from their brochure found here: http://w3.legis.state.ak.us/docs/pdf/capitol_tour.pdf. The artwork does not stop at the entryway. 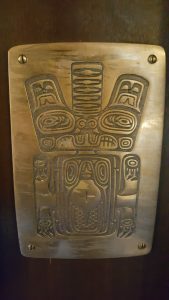 You will find impressive pieces throughout the tour, including this piece of native work. This is my favorite piece. 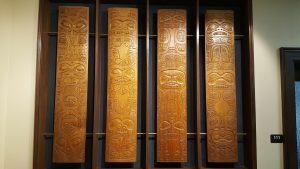 It is a grand sculpture of the native form-line figures reminiscent of totem poles that you may even see around the city. 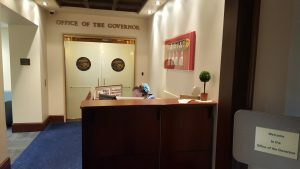 You can even go visit the Governor’s Office on the third floor.